Earth- Dude, what do you think of those cosplays? 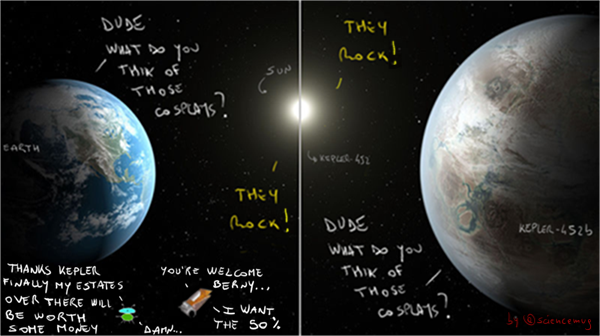 Kepler-452b (just discovered rocky planet)- Dude, what do you think of those cosplays? Bernard- Thanks Kepler, finally my estates over there will be worth some money!